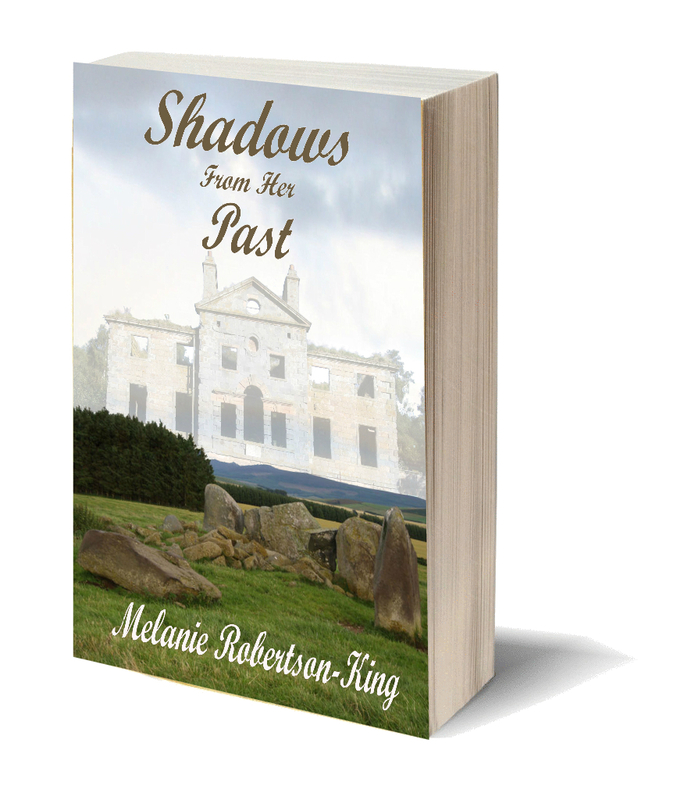 In the first book of the series, ‘A Shadow in the Past’, Sarah Shand is a young woman from 2010, who suddenly finds herself yanked from her modern life, and deposited at the door of Laird Robert Robertson of Weetshill, a nearby manor home, resplendent and beautiful, that in her time, is abandoned and in extreme disrepair. After some understandable confusion, denial, and finally acceptance, Sarah adjusts to her new life in the 1880s. Letitia, a local woman Laird Robert was to marry makes trouble for them, but in time, Sarah and Laird Robert tie the knot. Then, in ‘Shadows From Her Past’, Sarah awakens in the Aberdeen Royal Infirmary from a months-long coma. Her sister, Rachel, and her mother are alarmed at Sarah’s story of living at Weetshill, even though she’s wearing Robert’s rings. They try to convince her she was dreaming or hallucinating. Sarah becomes friends with David Robb, a medical student working at the hospital, finding he is similar to Laird Robert, but not a replacement for her husband. Unable to leave the hospital until her physical therapy is complete, Sarah sends Rachel to research Weetshill at the time she was there. What Rachel finds shocks her. Maybe there’s some truth to Sarah’s story. Released from the hospital, Sarah searches for a way to return to Robert. Does Sarah find her way back to her husband? What about David Robb? Do the lines blur between the past and the present? What if you could travel back in time? What if during that time period before you were even born you married a wonderful man and adopted a little girl? And then suddenly you’re back in your present time, the victim of an accident, and want desperately to return to your husband and daughter? What would you do? 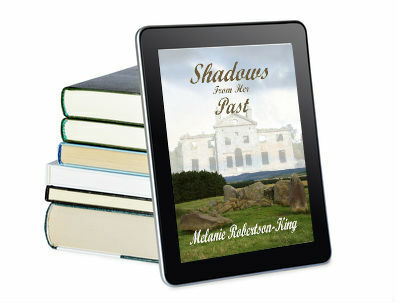 In Author Melanie Robertson-King’s novel SHADOWS FROM HER PAST Sarah Shand faces such a situation. When she awakes from a coma caused by the accident, her parents and the doctors think she’s confused when Sarah tells them about Robert Robertson and Jenny, her new family. Could her memories be only a dream or a result of her injuries, which almost killed her? Told in alternating points-of-view from Robert, who sometimes appears to Sarah but then disappears as quickly, and Sarah, who is beginning to have feelings for David Robb a medical student that took care of her, the couple attempt to discover the truth. But Sarah and Robert run into all sorts of complications in their struggles to get back together again. And I could not stop reading until I knew if they succeeded. Melanie Robertson-King has a special touch when creating her characters. She makes them so real you want them to succeed in their quest for happiness or whatever they’re looking for. In SHADOWS FROM HER PAST the author weaves a mystery, a romance, and a family that you hope will find happiness in their lives.